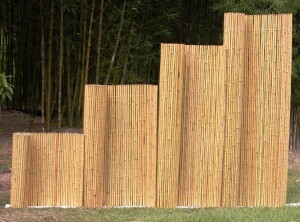 Peerless bamboo fencing is an outstanding premium quality hardwood fence manufactured from aged poles, cured and bleached then internally wired at 300mm spacing. This provides semi rigid rolls that are simply unwound to attach over an existing fence or a frame. Where a frame is present simply place a 25mm washer on a tech screw and screw to the rail/frame. 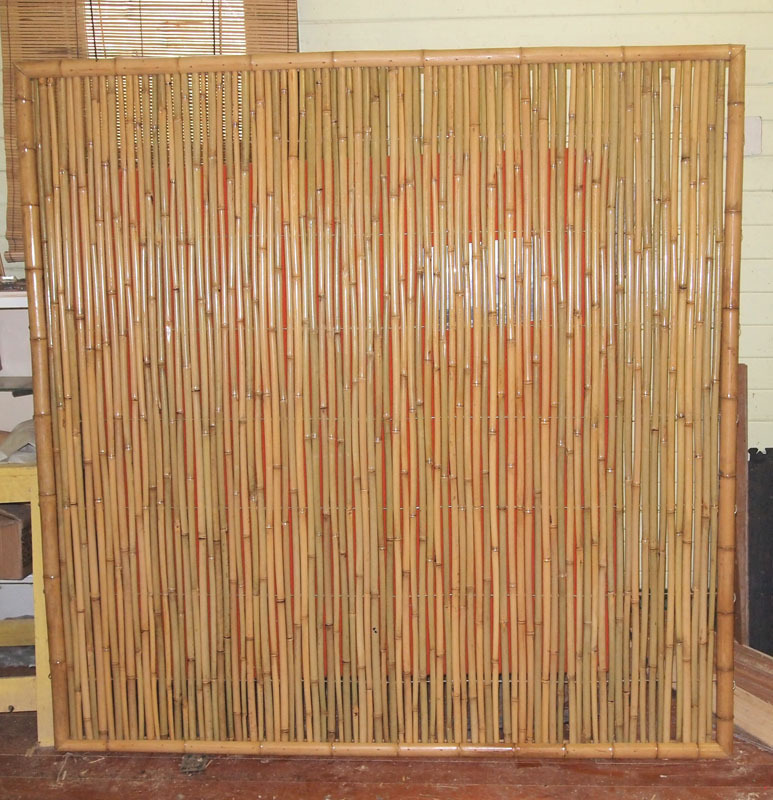 Peerless bamboo fencing is now accepted as one of the world’s finest fencing products that are easily installed in most domestic and commercial applications, either interior or exterior. 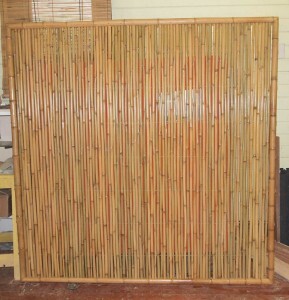 PEERLESS Bamboo Fencing is now available in the sizes listed in the table below. Pole diameters are either 20-24mm or 30-35mm. They are clean cut at the top node to prevent water pooling. The rigid frame style fence panels are bordered with split poles that support the internal panel. The fences usually come as a Raw/Untreated product however some fences may already have a factory applied light clear coat on them. To extend the life of a fence when used outdoors it’s vital to use a UV Clear Coat. Apply a coat before erection, then re-coat annually. This preservation method will extend the life of the fence. We highly recommend using Crystal Paints bamboo coatings. Please refer to our FAQ page for their details. The product is a ridgid panel, ideal for court yards, gardens, restaurants and good for screening your outdoors entertainment area and to screen out neighbors. The outside framing is 50-60mm in diameter. The wiring is spaced at 300mm apart. When used outdoors it’s vital to use a UV Clear Coat. Recommended crystal paints. It will last up to 10 years out doors. The products come as a Raw/Untreated product. Some panels may have a factory light clear coat on them. Framing is made to order, available for all types of fencing listed above. Please contact lance for a quote. 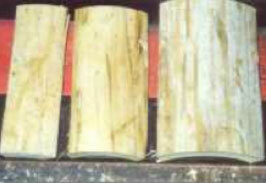 Slabs of bamboo cut to length from mature round poles. Available in natural or bleached. 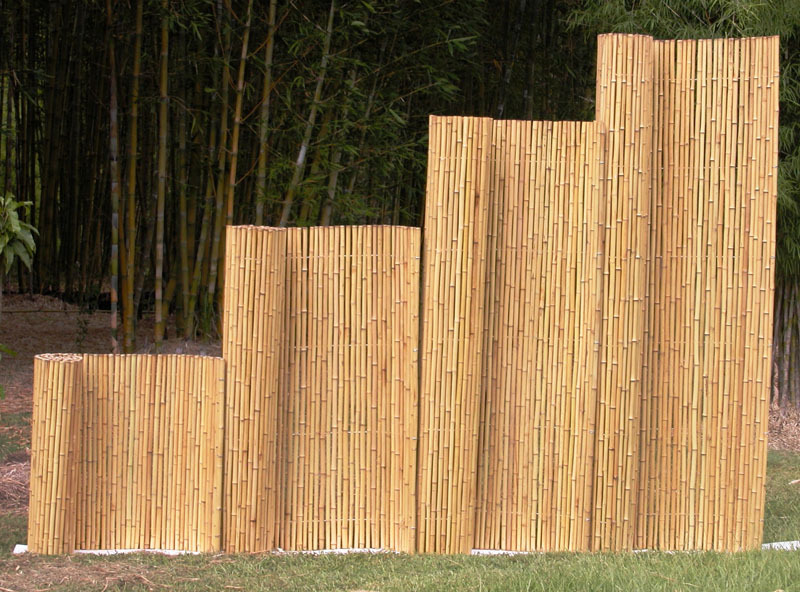 To prolong the life of bamboo fencing we highly recommend coating with a UV Clear Coat containing insecticide and fungicide. Our policy is to avoid the use of toxic chemicals on the farm. Mostly the timber we supply are untreated and non toxic. They are suitable for most sensitive environmental applications. Unfortunately this may result in seasonal insect or fungal attack unless treated. To protect your purchase we suggest that you treat the timber in a manner suitable for the intended use.